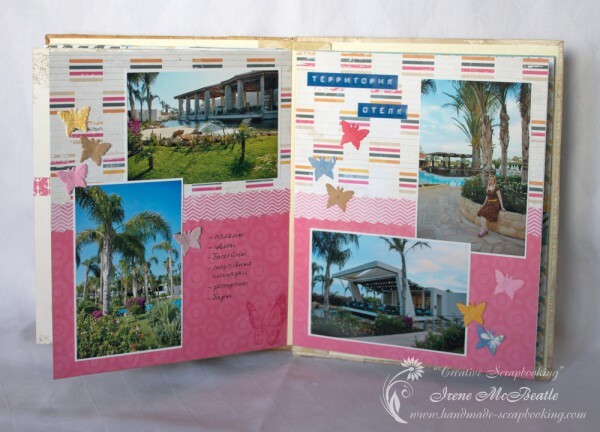 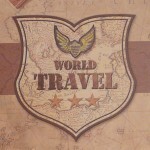 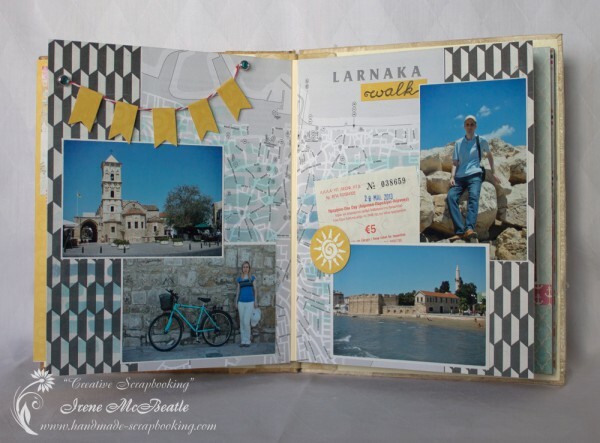 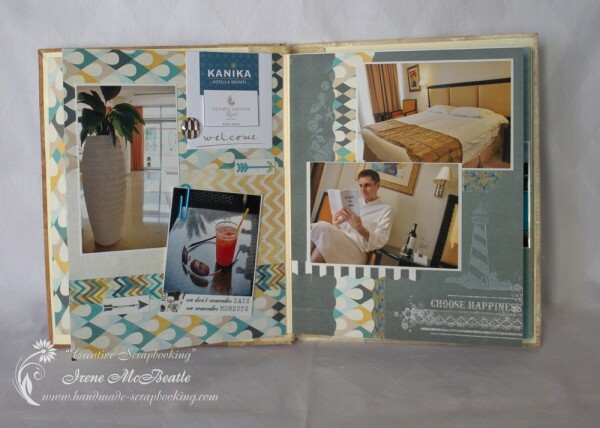 I’m ready to share my new scrapbook album dedicated to my recent vacation in Cyprus. 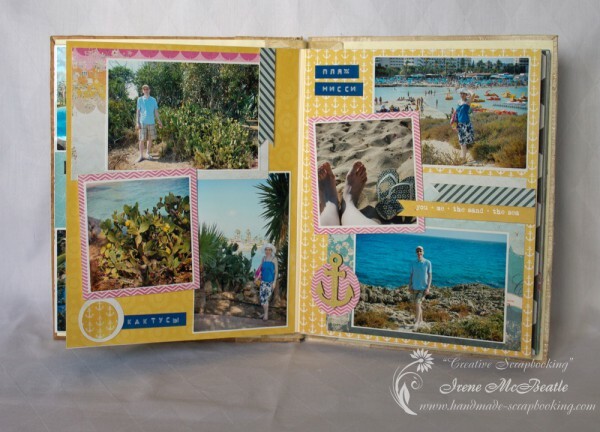 Although the vacation was short (only one week) the album has many pages. 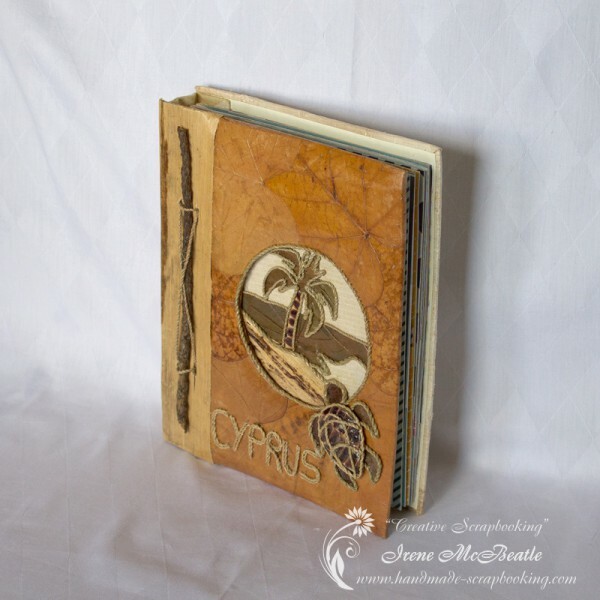 The cover for this album was taken from a pre-made album that I bought in Cyprus. 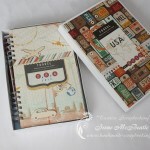 Its size is about 8.5″x7″. 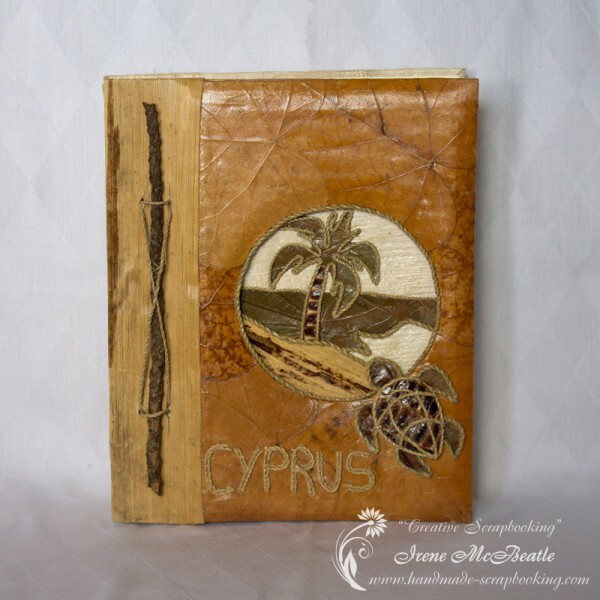 The cover is made in eco-style with natural materials: leaves, branches, ropes. 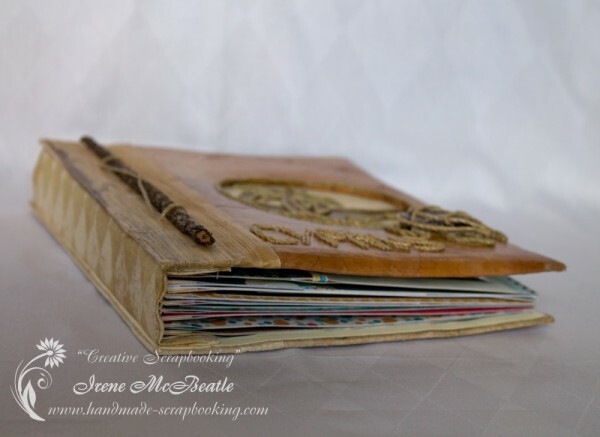 I liked the cover but I had to detach and replace the inner pages and binding. 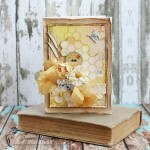 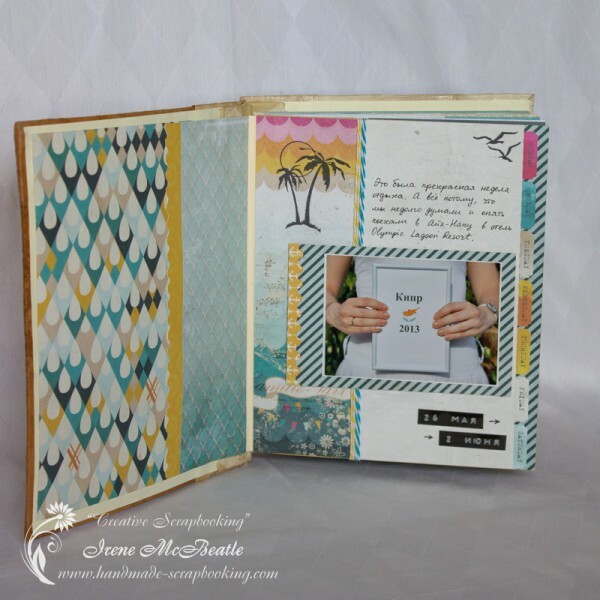 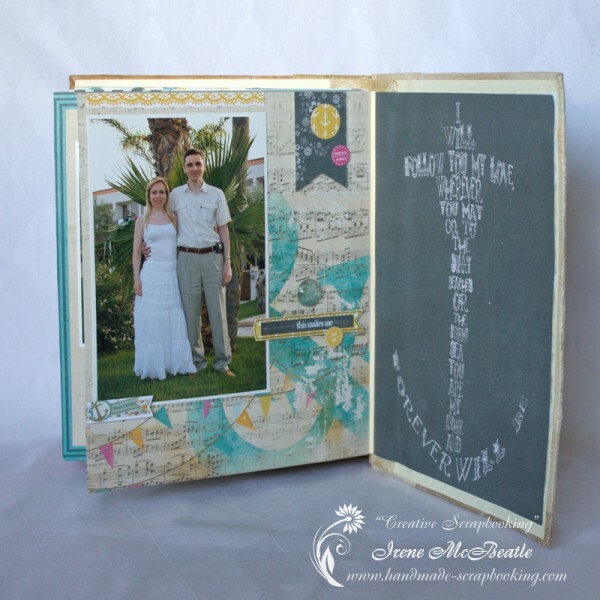 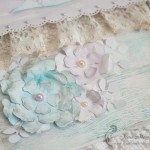 For design and decoration I used 8″x8″ paper pack Uncharted Waters by Glitz Design. 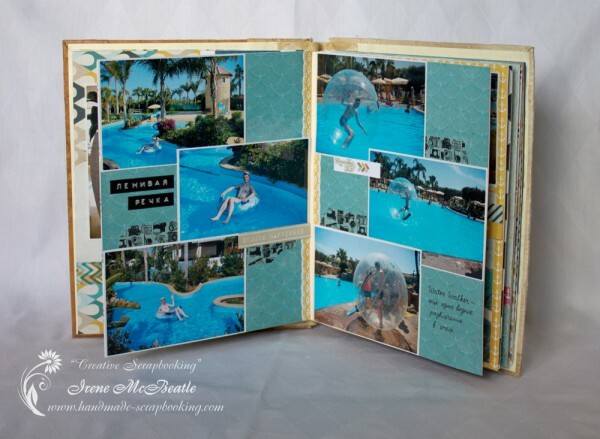 And did you have a vacation this summer? 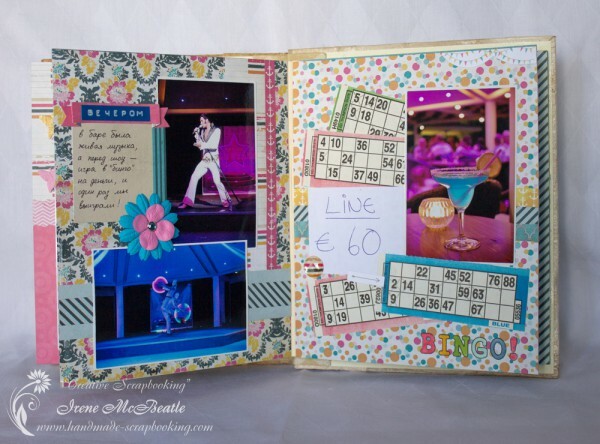 Did you make a scrapbook album about it?